Arsenal Ladies officially announced striker Vivianne Miedema has signed a new contract with the Gunners. Just 22, Miedema has scored 152 goals in 172 games over the course of her short career. 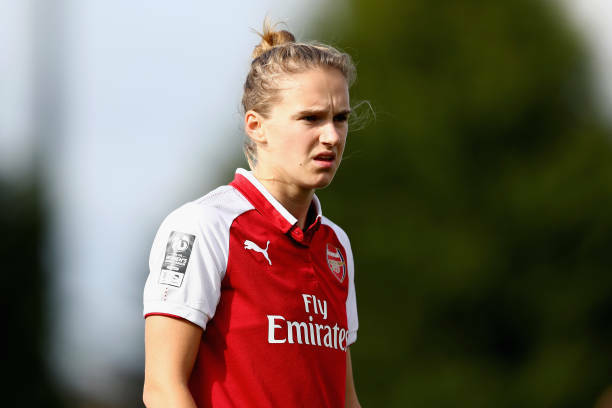 Miedema joined Arsenal from Bayern Munich in May 2017, has scored 14 WSL goals this season and needs just one more to equal the record for goals in a single campaign. Arsenal have not revealed the length of the ex-Bayern Munich player’s contract, but say it is a long-term deal. Miedema, who has 52 goals in 65 games for her country, is the second player this week to sign a new deal at the WSL leaders after Lisa Evans. Be the first to comment on "DONE DEAL – ARSENAL BOSS CONFIRM STRIKER DEAL AFTER AGREEING PERSONAL TERMS TO JOIN GUNNERS"